Today, I wanted to show you one of the big differences between a traditional product photographer and a photographer specialized in e-commerce products such as Mister eCommerce. It’s a very simple detail that can make a big difference at the end for your online business. Look at those pictures, they are numbered by chronological order. These are the kind of document you’re going to receive by doing business with a traditional photographer. Roughly, they will take pictures of your 500 products at home, 3 photos per product and they’ll deliver 1500 photos to a usb key or a small external hard drive with numbers like that. 4.Associate the photos with your product. At this point, there is nothing that looks more like a photo than another photo with a different number. It’s not so practical! Seriously, this is really not ideal. Think about it: if you have products that look alike, t-shirts that are very similar, or black shoes and you have 10 consecutive pairs of black shoes … it can easily become a big problem! The difference between a traditional photographer and Mr. eCommerce? At MisterEcommerce.com, we have invented a way that allows us to deliver renamed photos according to your needs! 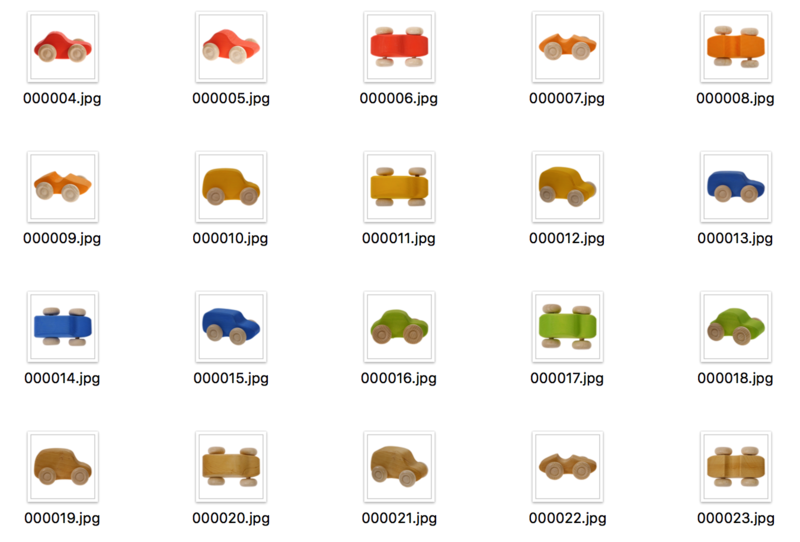 For example, this customer asked us to rename the images according to their internal SKU. So when they need to find a product, it’s very easy! You can ask us to use the product name to make it SEO-friendly. There are several, but it’s mainly for the SEO factor, it will really help. The second advantage is that it makes it easier for you to find your pictures. The third advantage, when it comes to adding products one by one, it makes it much easier for you to distinguish which product is connected to which photo. At MistereCommerce, this particular service is only 75 ¢ per product, no matter how many products you have. That’s why I showed you the importance of it, it’s a must! See our rates for more details. Of course, the renaming service represents an great advantage of doing business with Mr. eCommerce. On the other hand, it is not the only one! The turnkey concept of Mr. eCommerce is also worthy of mention, it is a unique offer in Quebec. I remind you; Mr. eCommerce takes pictures (3 simultaneous photos / product), write your descriptions and imports all your products to your site. In addition, the mr.eCommerce team comes on premise. No product photographer offer these services in particular, at the cheap price of Mr. eCommerce (starting $ 7 / product). How to save on your product photography?